None of my first three babies took a pacifier. The first two it was intentional, and number three just wasn't that interested. With number four on the way, the binkie is looking more and more appealing. I have seen these cute pacifier clips all over the place, and although the cute lace clips probably won't work for my baby boy, I will definitely be needing a boy friendly version of these. 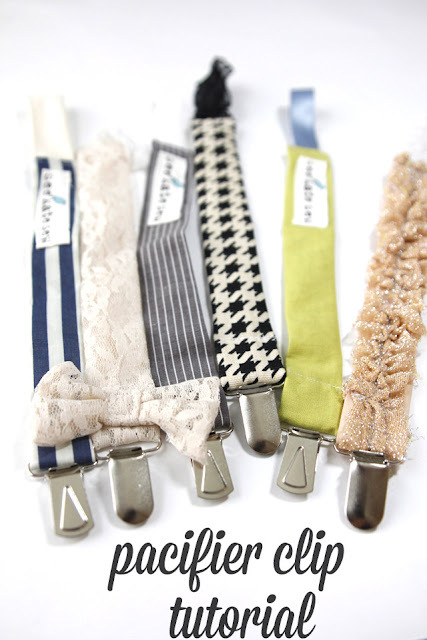 You can check out how to make pacifier clips over at See Kate Sew.